On December 27th I had to attend the funeral of my 23 year old nephew Aaron Esposito. Aaron was killed in a car crash on December 21, on his way home from a meeting in Indiana. It was an extremely hard week for me and my family, and to tell the truth, I am not sure how my brother or sister-in-law held up so well. Parents are not supposed to bury their children, it’s just too hard to imagine. But in a very spiritual way the process was a healing one, and a deeply moving one. Aaron lived a life that most of us would only dream about, and I did not find that out until his death. How sad. But Aaron’s death is also a lesson, a lesson on life and how to live it. Aaron’s life was not a charmed one; he had a hard life for his short time here on earth. His parents were not, as we would say, always there for him. But Aaron chose to live a life that was productive and healthy; he chose to allow God in to his life and to use his passions to make this world a better place, one person at a time. At his funeral the minister read from his journal, and one line stands out to me, Aaron wrote a simple line, only a few words, four to be exact, but to me the four words covers it all. WOW, what a powerful statement, and what a true testimony to how life is. We all deal with fear; its part of the human condition, the difference is how we deal with it, what we make of it. Aaron chose to use his fear for the betterment of himself and others. Others choose to allow their fears to control them, and still others deny their fears, choose to not see them at all. Fear is part of life; it gives us clues to how to live. We use fear as a way to help us choose the path in life we wish to take. Some of us face them head on; others of us choose to walk around them. We see this is our everyday life, in almost all we do. Who hasn’t been fearful of a new job, or a new home? How about a new school or a new life, Fear is the glue that keeps us grounded and it is also the glue that keeps us standing still. Fear can be a motivator or it can be destabilizing aspect that sets your life in to a downward spin. Fear is a controlling emotion; fear is a fact of life. Aaron stated that fear was like a ping-pong game, a battle between the two sides of fear, to embrace it or to ignore it. Aaron chose to embrace it, to face it head on. Now I am sure Aaron did not always do this, in fact I am sure that at times Aaron ran from choosing to ignore it. But the simple fact that he saw it as part of his life, that he wrote it down in his journal and named it as he saw it states a lot. Aaron knew that he had fear, that fear was part of who he was, and Aaron named it called it out and gave his fears an identity. 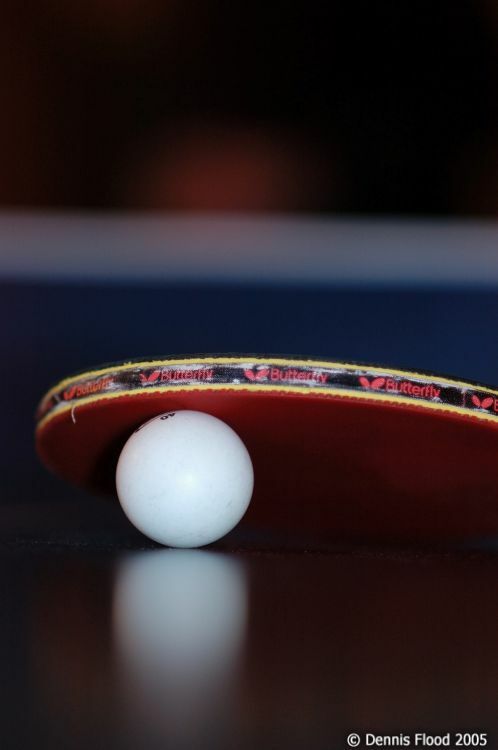 Aaron was a sportsman; he loved sports, so to call fear a “Ping-Pong Match” placed fear in its proper place, making it a game, a competition, one that Aaron could win. Like any sport you have to practice, study and learn. Aaron did that, he read the bible, self help books and motivation materials, and he looked deep within to find the strength to help him in the match and he looked to God to fortify him and to send His grace upon him. Aaron’s journal contained notes of all sorts, notes on his Amway business, notes on his personal life and quotes and passages from the bible. Aaron’s journal showed how he knew his life was not a patchwork of separate Aarons, but rather how the pieces of patchwork created the one Aaron. Aaron understood that everything he did affected every aspect of his life, and affected everyone in his life. The fear may have held him back some, but from what I know of him, and from what I learned of him, Aaron used the fear not to hold him back, but to catapult him forward. Aaron will be missed by many, over 600 people attended his service on Saturday, on Friday there had to have been over 300 people throughout the day. The words of kindness and gratitude towards Aaron was overwhelming, and the tears shed for him could have filled a river, But Aaron’s life was not one of regrets but rather opportunities. His passing will leave a hole in many souls but his legacy will fill many more. Aaron I miss you and I love you, may you rest in the peace of God the Father and may you be forever in His glory. May we, Aaron’s family and friends find comfort in Aaron’s everlasting love; May God bless us and keep us all. How beautiful, Aaron and I always laughed about me being his adopted Mom in Grand Blanc. I met Aaron when he was in 9th grade. We became extremely close and I did consider him my son. We spent many hours together at school and at my home, my husband and I had his open house. I love him so much and still cannot believe this has happened. I am so thankful I saw him about 3 weeks before that fatal night. We laughed and hugged that night, not knowing we would never see each other again. Aaron ask me if I knew how to text and I told the truth that I could but it took me forever to do it. He told me he would text me everyday after that. I laughed, he texted me 30 minutes later. I am so glad that I was a part of his short life. Aaron, I will think of you every day for the rest of my life. My husband used to be the hockey goalie coach at GBHS and that is when I first met Aaron. He used to come to our home for meetings, to tutor our daughter in math and to just hang out. We watched him grow through the years and face the fears you mentioned head on even at the young age of mid-teens. He was physcially strong and mentally aware of where he was going and wanted. We had kept in touch over the college years and had just seen him weeks before his accident. I will never ever forget his face with that radiant smile and contagious attitude. He absolutely adored his wife Amanda and beamed whenever he spoke of her. There is not a day that goes by I do not think of Aaron and what an impact he made on this world in so little time. He touhed our “Leadership Team” we currently work with now as well. Aaron spent a weekend with us out camping and sitting around the fire for hours with those young men and shared “life” with them. Asking them questions about what they wanted to do and how they were going to make it happen. He didn’t “preach” to the boys but you knew God was behind what he was getting at, he had a way of connecting with them. I was sitting in church this morning listening to the sermon about everyones purpose while we are here on earth, thinking about Aaron’s purpose and reflecting back on the young men from GBHS he spoke to that weekend and that was his purpose – to bring them to know Jesus as Lord. We have one of those young men attending his church again since then. Aaron has brought a “lost sheep” back to the Lord. Aaron’s ultimate purpose we will all not be able to grasp or understand. I will see you again one day Aaron, and I know you will be waiting with open arms and that beautiful smile to welcome each of us. Thanks for the thoughts on Aaron, it is truly amazing how many lives this one young man toutched. It helps me keep the faith. I will always love Aaron and I will miss him dearly.